The fate of individual companies has never been more uncertain, and the window of opportunity is closing for many. 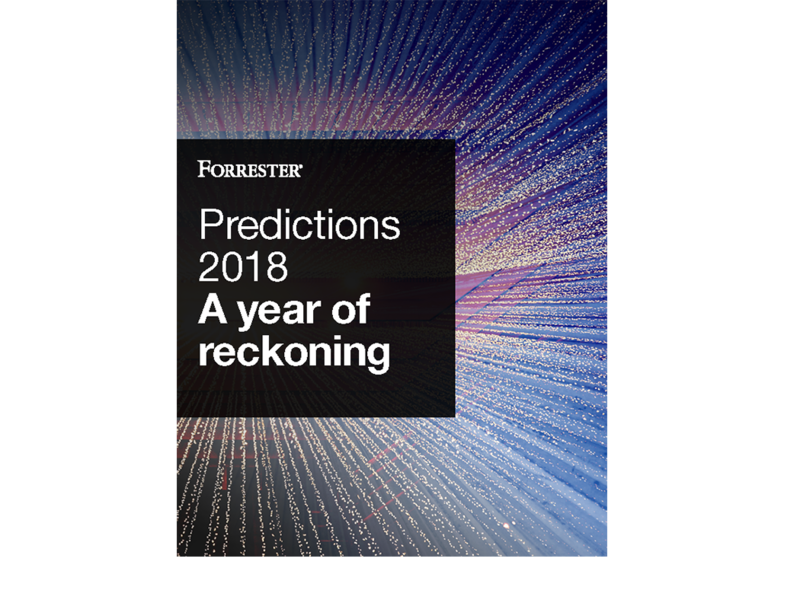 Forrester’s 2018 predictions describe the market dynamics that favor those taking aggressive action and create existential risk for those still holding on to what has worked before. 2018 will force decisive action for firms looking to digitally transform, revitalize customer experiences, and take control of their destiny. Gain new insights and help catalyze action at your organization. Forrester’s Predictions briefs examine the major dynamics facing your business so you can prepare and lead change in 2018 and beyond.